Extract from The Barlow Institute by James J. Francis, part of chapter 4, pages 22-25. The opening ceremony was held on the afternoon of Saturday, October 30th, 1909. 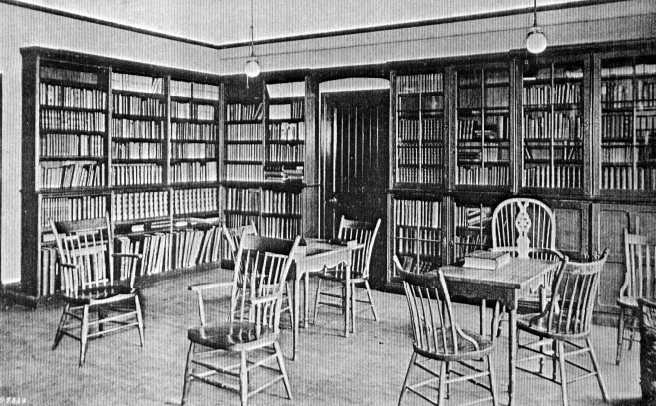 The Bolton Journal and Guardian reported that `this was an event of great importance to the social, educational and recreational life of Edgworth. The new Village Institute was erected by the sons and daughters of the late James and Alice Barlow in their memory`. A large number of friends and neighbours assembled by special invitation for the opening ceremony which took place in the lecture hall. The guests included the Barlow family, Col Winder, Councillors R Ashworth, G H Ashworth, R W Kenyon, J Bowling, J Hamer, T Lomax, F Whowell, A W Mayer and many other local dignitaries and industrial associates. 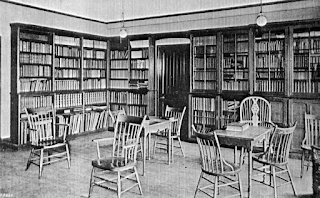 The Reading Room with its comprehensive collection of books. Mr John Robert Barlow then requested his elder brother, Sir Thomas Barlow, to formally open the Institute and associated facilities. Sir Thomas referred to the characteristics of their late father and mother which had guided the general conception of the memorial scheme and the endeavour to carry out their ideals. The family would not be satisfied until the Institute was managed by Edgworth people for Edgworth people; this was the only truly satisfactory basis on which it could be worked. On the platform were a number of girls from the Edgworth Homes, in the establishment of which the late Mr James Barlow took such a prominent part. After the opening, tea was served and the guests entertained with a selection of instrumental and vocal music – details of which were printed in the Souvenir Programme. The activities already established continued. The seventeen Tennis Club members paid 2s.6d and presumably brought their own racquets. William Kingsley continued with his frequent reports. Teenagers Harold Brindle, David Alderman, Edward Ramsbottom, John James Mather and Percy Woods were caught stealing duck eggs from the boating lake islands. The bowling green was cleared of worms, getting a three-quarters full bucket. Annual licenses were granted on February 6th, 1911 for billiards and music. Swans and ducks were sold and exchanged. The grass verge round the cricket field was taken up and replaced with stone. 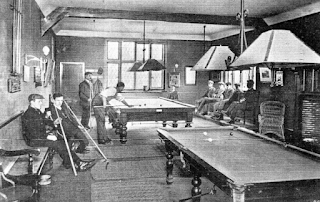 A crisis was reported in the billiards room when on March 6th 1913, Mr William Holt, the billiards table maker, came to examine the cushions after a complaint that they would not take side. Mr Holt said it was the fault of the players not having put side on. Perhaps to demonstrate that the table was alright, Mr Holt played a game with H Waldron of Bradshaw conceding him 300 in a game of 750 up and won rather easily by 150!. New gymnasium equipment was delivered in April, 1913 including a stretching ladder and a punch ball. In March, 1914, the Cricket Club, for the first time, went into the `A` section of the Bolton and District League and the Bowling Club received an invitation to join Bolton Sunday School Social League. In June a meeting was held to form a juvenile Harriers Club and the Swimming Club arranged to use the Children`s Home’s baths in bad weather. 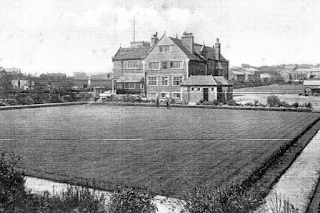 Early photograph of the Institute with the Bowling Green in the foreground.